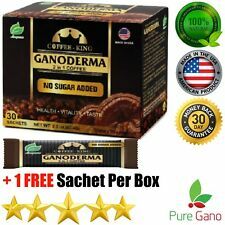 1 Box Ganoderma Black Coffee Weight Loss & Detox Slim Coffee, 8 Fat Burners 30ct (#132223867554). Each Box Contains 30 Sachets 1 FREE Sachet Per Box-You will receive 31 Sachets. 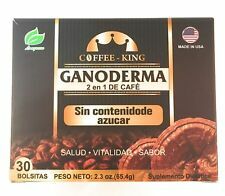 1 Box Coffee King Premium Black Ganoderma Coffee. TASSIMO -> X - BOLD ESPRESSO. Over five years will decrease the coffee's taste by 20-40%. So does ground coffee go bad?. We’re not giving you the green light here to go and drink all those old dusty bags of coffee in your cabinet now, but we are saying that if you’re looking for that caffeine kick then go for it. Over five years will decrease the coffee's taste by 20-40%. We’re not giving you the green light here to go and drink all those old dusty bags of coffee in your cabinet now, but we are saying that if you’re looking for that caffeine kick then go for it. PureGano Premium Ganoderma Latte! 1.8 grams (1800mg)of Ganoderma in Every Sachet. • 1.8 grams (1800mg) of Ganoderma Extract in Every Sachet (Organo Gold-no traceable amounts). 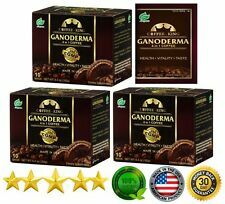 1 Box Ganoderma Black Coffee Weight Loss & Detox Slim Coffee, 8 Fat Burners 30ct (#132223867554). , Tongkat Ali, Maca & USA Patented Prostaep! No vitamin taste, just delicious coffee! Hey guys have you lost your man power?. Are you feeling tired and sluggish?. Enjoy your delicious coffee while benefiting your health! For use with the Tassimo Beverage System Only. Great Products At Low Prices. For exclusive use with the Tassimo Beverage System. Always NEW. King Soba - Organic Sweet Potato and Buckwheat Noodles - 8.8 oz. GANODERMA 4 IN 1 REISHI INSTANT COFFEE. 20 bags total. Premium selected Ganoderma Extract. Product of USA. 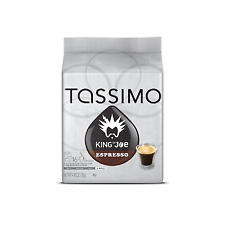 King Arthur Flour Espresso Powder 3 oz. The secret ingredient in your chocolate recipes. Contains 1 - 3 oz easy-open jar. Can you cancel my order?. Occasionally orders may take longer. Probably not. King Soba - Organic 100% Buckwheat Ramen Noodle Cakes - 9.8 oz. Direction: 1. Empty a sachet/stick of KING COFFEE 3IN1 into a cup. Add 75 ml of hot water (80oC – 100oC). Stir well and ready to serve. Use 2 sachets/sticks when serve with ice. Dry Processed Instant Coffee. Bombshell Beauty Blender Pink Makeup Sponge Set Flawless Foundation Puff Contour (#142327494820)., Tongkat Ali, Maca & USA Patented Prostaep! No vitamin taste, just delicious coffee! 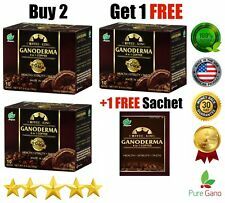 1 Box Ganoderma Black Coffee Weight Loss & Detox Slim Coffee, 8 Fat Burners 30ct (#132223867554). For use with the Tassimo Beverage System Only. PRODUCT DETAILS. For use in all Tassimo Brewing Systems. 1 box, containing 16 T-Discs. 100 grams (3.5oz) ground Kopi Luwak Coffee. Sustainably sourced from non-caged wild Civets. Dedicated for Coffee connoisseurs, or anybody who can enjoy this exotic unique coffee experience. Coffee is pre-ground and ready to be brewed, therefore there is no need for a coffee grinder. ● Manufacturer：Ottogi（Korea）. ● Ingredients : flour, palm oil, refined salt, rice flour, beef extract, seaweed soup extract, seaweed powder, dried seaweed etc. ● Recipe : 1. Add 500ml of water (500ml of water), a flake soup and boil the soup. KING Coffee : Pride of Vietnam Coffee. Premium Blend - Peculiar Taste of Vietnam Arabica. Contains Milk. Made In Vietnam. Zero Colesterol. Inspire Blend - Excellent Quality and Taste. Weight : 320g (16g Stick x 20). (Instant Coffee KING Pure Black 2g 15 Sachets. Product type : Coffee Beans 100%. KING Pure Black ). KING Coffee : Pride of Vietnam Coffee. Premium Blend - Peculiar Taste of Vietnam Arabica. Contains Milk. Made In Vietnam. Zero Colesterol. Inspire Blend - Excellent Quality and Taste. KING Coffee : Pride of Vietnam Coffee. Premium Blend - Peculiar Taste of Vietnam Arabica. Made In Vietnam. Inspire Blend - Excellent Quality and Taste. Weight : 150g (2g Stick x 15 x 5). Weight : 250g. Ingredients : Arabica Coffee Bean, Robusta Coffee Bean. Excelsa Coffee Bean, Catimor Coffee Bean. Inspire Blend - Excellent Quality and Taste. KING Coffee : Pride of Vietnam Coffee. (Instant Coffee KING Pure Black 2g 100 Sachets. Product type : Coffee Beans 100%. KING Pure Black ). One Box - 16 Sticks. Our Kopi Luwak collected from coffee plantation, they are never directly interfered by human, and 100% pure from wild luwaks in nature. WORCAS Premium Wild Coffee Luwak | Pure 100% Kopi Luwak. Weight : 500g. Ingredients : Arabica Coffee Bean, Robusta Coffee Bean. Excelsa Coffee Bean, Catimor Coffee Bean. KING Coffee : Pride of Vietnam Coffee. Premium Blend - Peculiar Taste of Vietnam Arabica. Model : G7 Black Coffee. Origin : Vietnam. Weight : ( 2g x 15) x 6. 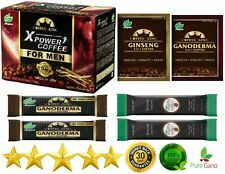 1 BOX PureGano Ganoderma Red Reishi Extract Black Premium Instant Coffee 31 ct.